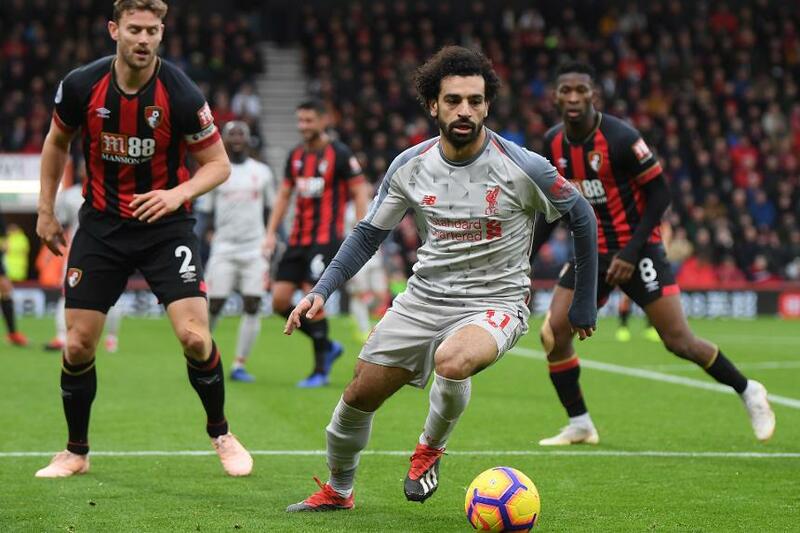 A visit from AFC Bournemouth will raise the appeal of Mohamed Salah (£13.6m) as the top captain pick in Gameweek 26 of Fantasy Premier League. The Liverpool midfielder has been the No 1 choice in each of the last three Gameweeks. Salah has disappointed his 50.3 per cent ownership with back-to-back blanks against Leicester City and West Ham United in his last two matches. However, his record against AFC Bournemouth suggests he can return to the scoresheet on Saturday. The Egyptian has scored five goals in his three meetings with the Cherries. He recorded his highest haul of the season against them in Gameweek 16, producing a hat-trick and 21 FPL points in a 4-0 win at Vitality Stadium. His team-mate Sadio Mane (£9.5m) provides an in-form alternative. The Senegal international has scored in each of the last three Gameweeks. Son Heung-min (£8.7m) will also be backed for his home encounter with Leicester. The Tottenham Hotspur midfielder has delivered 20 points in two appearances at Wembley Stadium since returning from the Asian Cup. Indeed, Son’s total of 110 points from Gameweek 13 onwards is more than the 106 of Salah. Paul Pogba (£8.6m) and Marcus Rashford (£7.7m) will also be among the favoured options for Manchester United’s trip to Fulham. Pogba has scored 76 points in eight Gameweeks under caretaker manager Ole Gunnar Solskjaer, more than any team-mate. Rashford, meanwhile, has scored in all four of Man Utd’s away matches since Solskjaer took the helm. Holly Shand (@FFCommunity_): I'm spoilt for choice this week with Salah, Pogba, Rashford and Pierre-Emerick Aubameyang (£11.2m). My gut says to go with Salah as he has the home fixture, plus I have fond memories of his hat-trick in the reverse fixture. It’s a tough call though. Ash (@FPLHints): I expect Salah to bounce back with a bang. Mark McGettigan (@FPLGeneral): It will be between Salah and Aubameyang. Having captained Salah for his hat-trick against the Cherries, I can see myself doing the same again. Paul Gee (@FPLPaulGee): If you're not captaining Salah, get rid of him. Sam Bonfield (@FPLFamily): I expect Liverpool to bounce back so I’ll be captaining Salah. Jay Egersdorff (@JEgersdorff): I don't own him but Raul Jimenez(£6.7m) could be a real differential captain pick. If Liverpool keep up their nervous form and Aubameyang struggles in the wind and rain up at Huddersfield Town, the Wolverhampton Wanderers front man could be the one to back for Monday's home match against Newcastle United. Ben Crabtree (@FC_CrabDogg): I've brought Son in and was tempted to captain him given his great form. However, Leicester's goals conceded total isn't too bad, whereas Huddersfield's is really poor. So, Aubameyang gets the armband. Chuck Booth (@ChuckBoothSport): Aubameyang is a standout pick, but I can't afford him, so I'm backing Pogba to continue his strong form at Fulham.